Build Attraction By Finding Your Inner "Poet"
One powerful way to build attraction with a man is by expressing yourself in a way that will captivate him – using feeling messages. Men go crazy for a woman who’s in touch with her feelings and living in her feminine energy – when she’s fully experiencing life and getting inside of every moment. Many people take these feelings messages to mean talking about the relationship – but that’s not where you should start – not at first. To get these feelings messages down and build your skill of getting in touch with your feelings – start small, with everyday things – like the weather or things that happened during your day. For most of us, expressing how everyday things FEEL to us is completely unnatural – it’s like learning a new language. A reporter would say, “That’s a beautiful sunset. It’s so warm out here. Look at the orange and pink colors…” A reporter would just state the facts. There’s nothing wrong with this – but the opportunity for you to be the whole-hearted person you want to be, the “siren” who mesmerizes men – is being missed here. And if you’re missing it at sunset, you’re missing it all throughout the day. See if you can find a poetic way to describe everything that goes on in your life, and start speaking to people in poetic terms – every human being you meet. After a few days of doing this, it will start to feel more natural. See if you can find a poetic way to express how feelings are coming up in you – without giving them so much meaning. 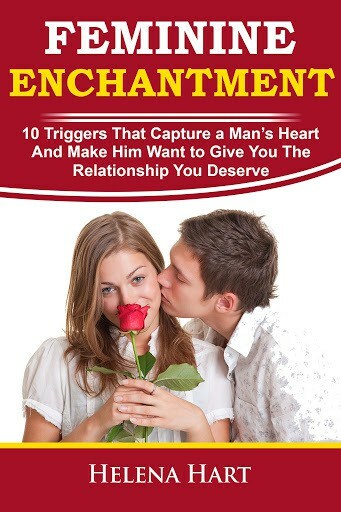 This will turn you into a MAGNET for masculine-energy men! I would love to hear about how this goes for you! 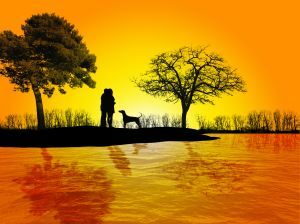 8 replies to "Build Attraction By Finding Your Inner "Poet""
Hi Arpita, that’s fantastic!!! Let me know what kind of examples you’d like help with and I can start a new post that will help you start changing some of your statements into feeling messages. For now, try writing down some statements on the right side of a piece of paper – draw a line down the middle of the page – and on the left side try changing them to feeling messages, starting with “I feel…” or “I’m feeling…” Let me know how this goes! I love your blog!!! So many helpful tips and insights, thank you! Thanks Mary Ann!! I’m so glad it’s been helpful for you! Hello there, just became alert to your blog through Google, and found that it’s really informative. I will appreciate if you continue this in the future. Numerous people will be benefited from your writing. Cheers! You information has been a great tool for me, thanks! Will love to read more from you in the future, keep the good stuff coming! There are so many blogs online, I’m glad I found yours today, keep it up!